We love Apologia Educational Ministries ! This is one of the curriculum's I have always wanted to try but had not been given the blessing to do so. 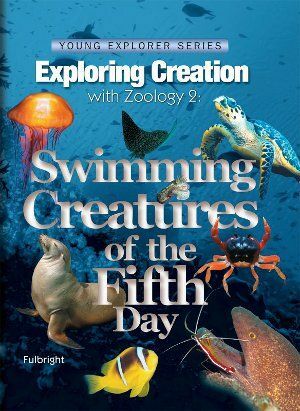 I was so excited to be able to review this wonderful science curricula and so were my kids. The price of the text book is only $39 for a hardback book and the spiral bound junior notebook is only $24. I loved that because the hardback works for all my kids so it is only one book to buy. My children are 7 1/2, 6, and 4. 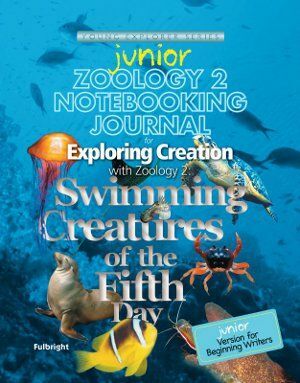 We got the Zoology 2 Exploring Creation textbook and the Zoology 2 Junior Notebooking Journal to review with the kids. The girls got the notebooks and little man just got to listen with us. 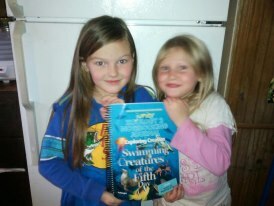 The book is rated for K-6 and the JR notebook for K-3. The book comes with a schedule already in place in the front for those of you that like to have provided structure for your lesson plans. I loved this as I always have a hard time with what to write in my lesson plans or how long I should work on something. This kind of gave me a pace to go and then we see how it flowed with the kids. The type of lessons that we can sit down as a family and do together are the best in my opinion. I loved reading the book as well as the kids learning the very interesting facts that were in it. 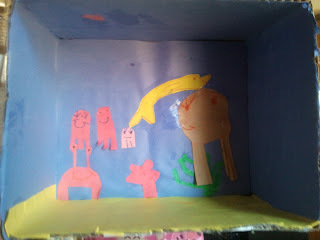 Lesson one we learned about aquatic animals and the waters they live in. 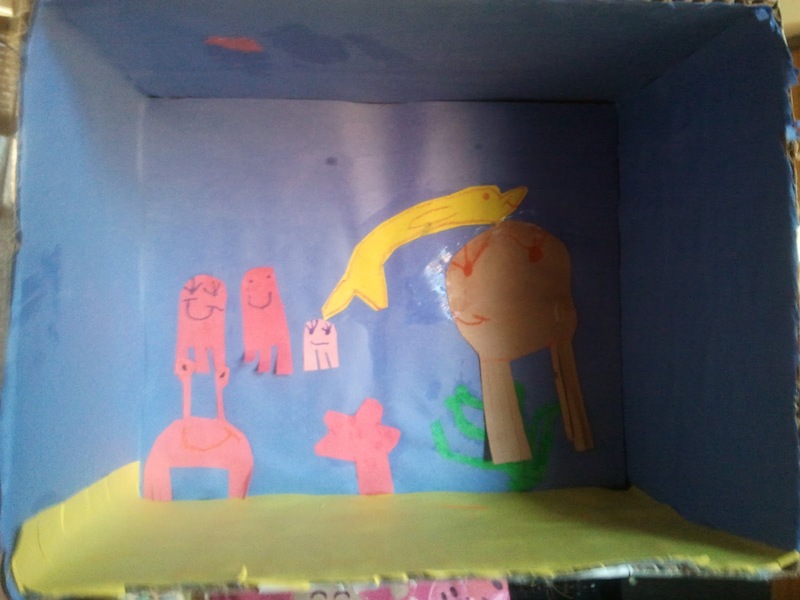 One of the cool projects was to make an ocean box (which will continually be worked on through out the book). The book also has several fun little projects and experiments to try throughout the chapters to help explain things better. Though some of the book had some major details that were over my kids heads they had plenty more details that fit right in with them. That is what made this book great for a family with a range of ages. You can tailor it to each level that your kid is on. The Jr notebook was a great way to get my beginning writers in the mood to jot down information that they thought was interesting. The notebook went right along with the textbook with ease. The coloring pages were detailed enough that it kept the kids still and busy while I read to them the textbook. I also like that it was not just writing work, there were many activities/puzzles and such that kept them excited to keep working though the book. The experiments were all things that were easily obtained around the home which was nice. As a single mother on a low income I was glad to have things around that worked for us to use with out spending more money. We all give this book a thumbs up and hope that our opinion will help others enjoy it as well. Thanks for such a fun and colorful review! 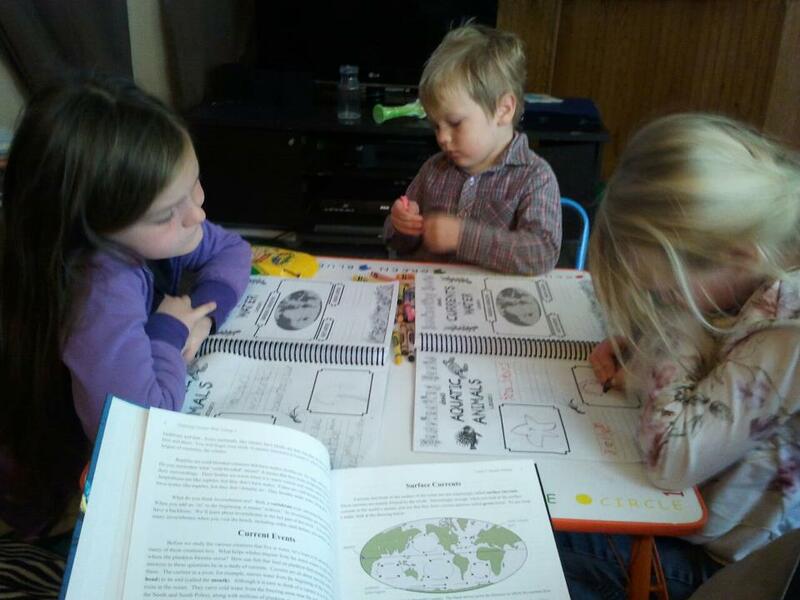 I really like the photos of your little ones enjoying the journals. Well done!